We’re proud of our farmers! 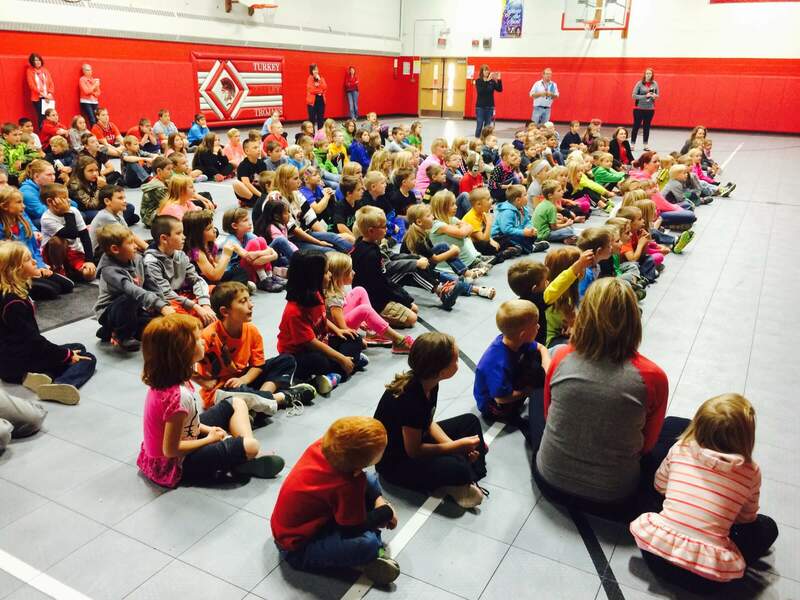 As October is farm-to-school month, we’ve been having a blast celebrating our farmers and all the work they do! 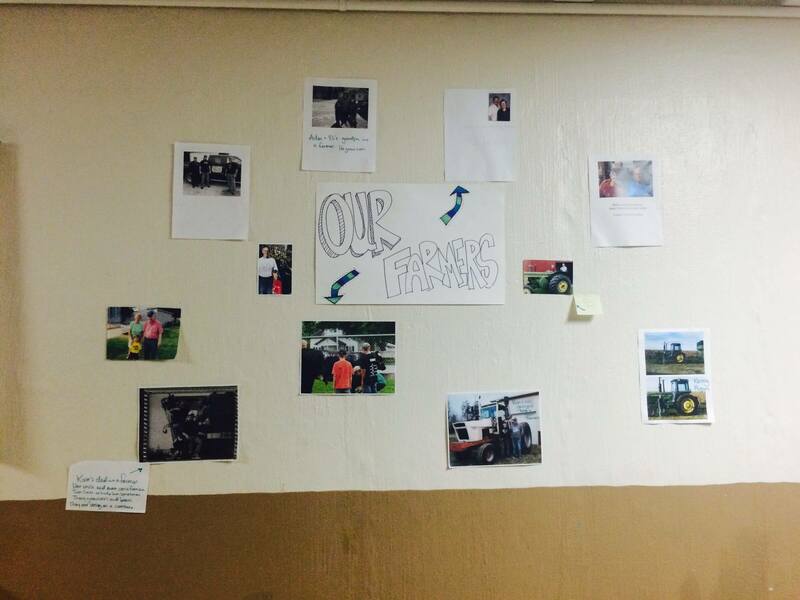 The students at both Turkey Valley and St. Joseph’s collected photos of their favorite farmers and we created a display in the lunch room of these food heroes. Along with celebrating our farmers, we’ve also been talking a lot about local food and the importance of buying local. 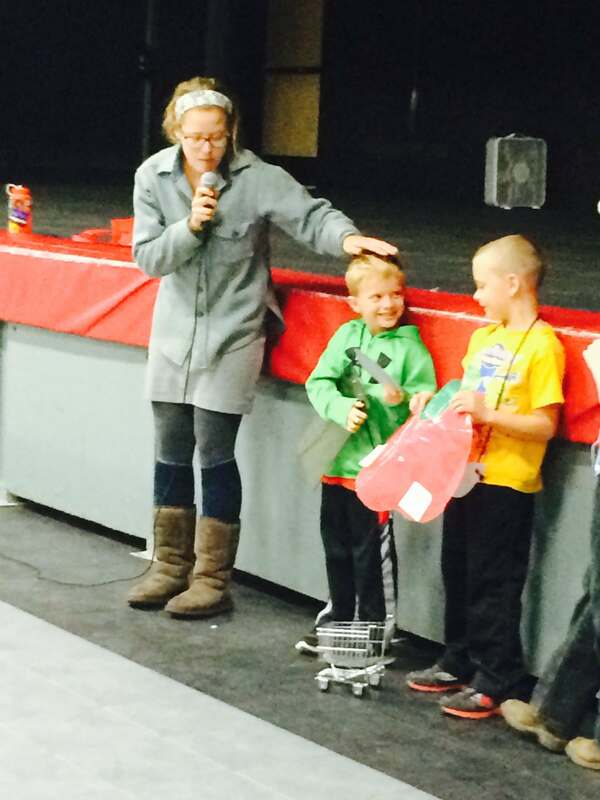 Students at Turkey Valley enjoyed participating in a skit in which they acted out the differences between buying an apple in California vs. buying an apple from a local orchard. They were excited to be farmers, truck drivers, shoppers, and processors and learned through this that local food is better for us all for a few reasons: good for YOU because there are more nutrients in fresh food, good for the FARMER because he/she receives more for the apple, good for the COMMUNITY because we’re establishing relationships on the local level, and good for the EARTH because we’re using less fossil fuel to get our food. The students had fun tasting local apples from Peake’s Orchard in Waukon and noted the differences between different varieties. There were many thumbs up and happy faces! Students keep asking me now when we’ll try apples again – it’s the small things! Over at St. Joe’s, a group of 1st and 2nd grade students learned how to make raspberry muffins in which the raspberries, honey, and applesauce were all local. 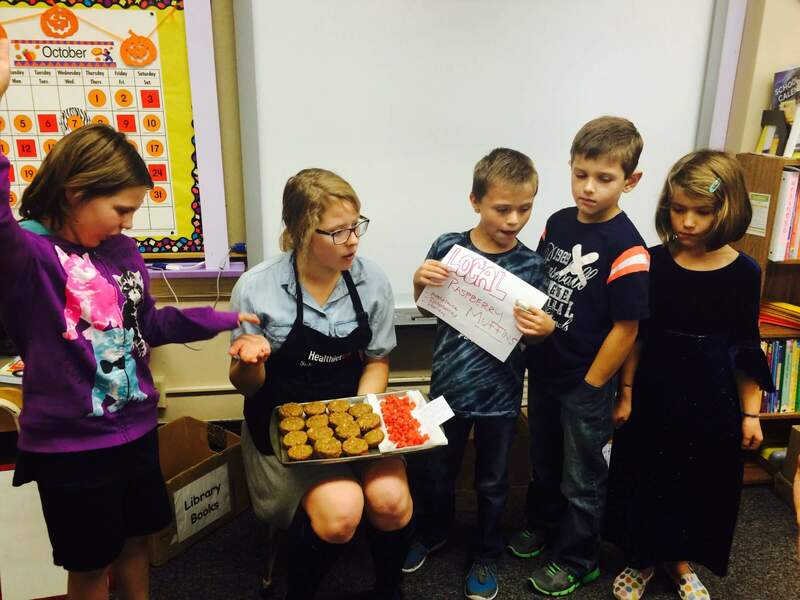 These students then taught their fellow classmates what local means and which ingredients in their snack were local! They did a great job. We also did a local cabbage slaw taste test in the St. Joe’s lunchroom as cabbage is the Harvest food of the Month. Cabbage and carrots were from Canoe Creek Produce in Decorah, while other veggies were grown in the St. Joe’s garden. Students tried the slaw and then voted on whether they liked or disliked it. It was fun to interact with the students in the lunch room and be a friendly face, encouraging them to eat fruit and veggies! Three cheers for our farmers who work so hard to bring food to our tables! This entry was posted in School Wellness, St. Joseph School, Turkey Valley CSD by Bekah. Bookmark the permalink.